I capture moments in detail. I use layers to capture the texture of life. I am curious about the moments in between, the waiting, and aging. My art is an exploration of layers, both in paints, textured mediums, fabrics, and metal leaf. I start with just covering the blank canvas with textures and colors. Next I do a loose sketch and start puzzle piecing in the forms with fabrics. 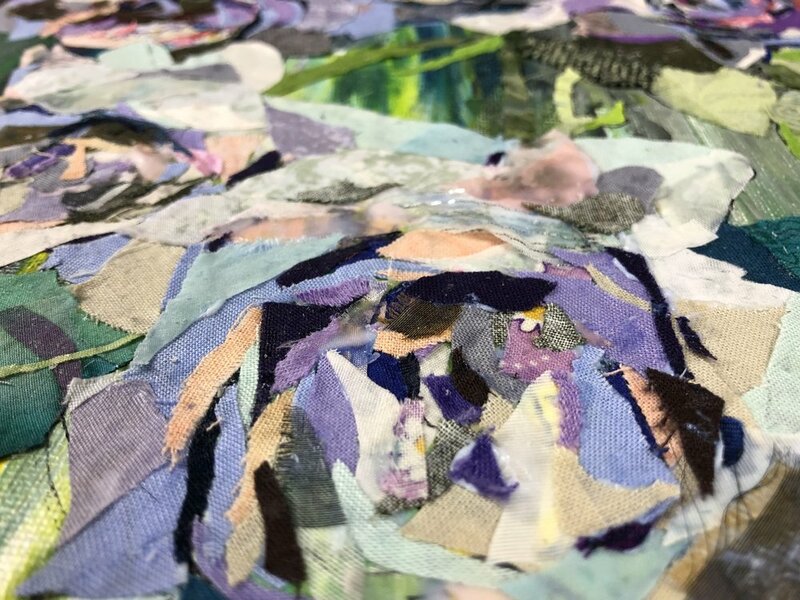 The fabric piecing is the most time consuming part and depending on the size of the canvas can take anywhere from a few hours to weeks of work. Lastly, I add layers of acrylic paints to imitate encaustics (beeswax) and stain and add more layers of paint or metal leaf, as the painting needs. Each painting is different and goes through a very unique finishing process.